Terrible Omens is a memoir of abuse and escape that is by turns humorous and tragic. Beginning with self-deprecating humor and moving toward devastation and finally strength, Alane Gray’s memoir Terrible Omens traces a marriage from its college-age fruition to its violent, heartbreaking, yet much-relieving end. Alane Gray meets Darren in chiropractic school, and they immediately fall in love. After only a few months of dating, they get married. Gray’s vision of a fairytale marriage disappears quickly, however. Her husband’s mother regards her presence as an affront to her family, and Darren’s behavior grows more and more erratic. Gray gives up a lot for her marriage, turning down her dream job and surrendering to her husband’s homebrewing hobby. The book moves from the lighthearted retrospective mood with which it begins toward something much, much darker. Portrayed consistently as a victim, Gray shows her fair share of the range of human emotions, but she is rarely seen doing anything wrong. Everyone and everything around her is positioned as out to get her. Sections of the book stretch the limits of plausibility, especially pertaining to Gray’s mother-in-law’s narcissistic behavior and Gray’s occasional visions of the paranormal. Though the book feels hyperbolic at its outset, Gray’s humorous, raw writing style sustains engagement. Even through accounts of emotional and physical abuse, scenes include mood-setting details and vivid imagery and prove entertaining because of this. Life-like dialogue exponentially increases the book’s tension, and portions of the text read like well-plotted fiction. Gray stayed with Darren far beyond what seems reasonable in the text––“out of misguided loyalty and pathological obligation,” she says. She stayed with him despite his rude remarks, him undermining her search for jobs, and his escalating violent outbursts—even after “his persistent alcohol consumption had flattened the topography of his intellectual landscape.” Clever turns-of-phrase hold attention, even if descriptions of humiliation and spousal abuse are overwhelming. The text is even poetic when appropriate and ably conveys precise emotions. 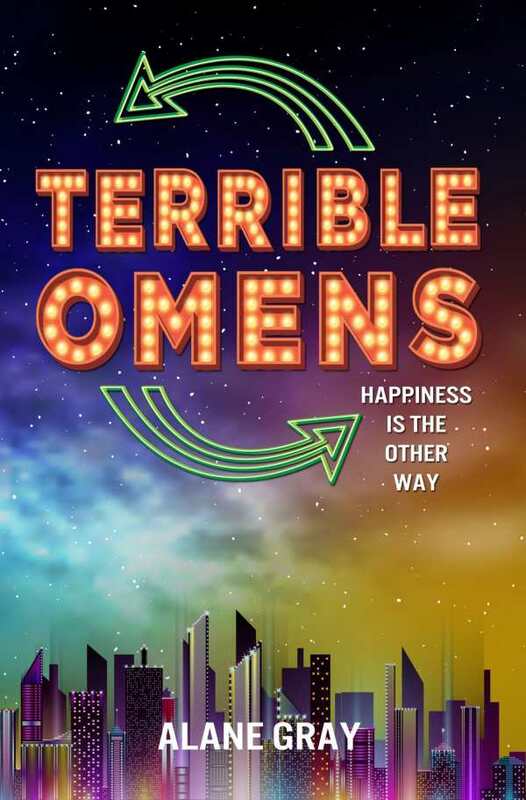 With numerous profound lessons to infer from the text, Terrible Omens ends with catharsis, redemption, and a sense of Gray having fully moved on. Of her relationship, Gray writes that she learned many things, including that “romance is not love. Love is love. Romance is just decoration.” Such notions may provide women in abusive relationships with the strength to stand up for themselves.